Gregory is a Chicago born and raised native that served in the United States Army for two years. He worked for the post office for more than twenty years. He married and raised three children. He watched his daughter grow up and get married, and his sons become honor roll students in high school. With a stable career and beautiful family, he was on top of the world. After attending his daughter’s wedding, however, there came some news that would shake his happy home. In 1996, he was diagnosed with Cancer when his doctors found three tumors on his brain, one of them, the size of a lemon. The next several years of his life were some of the most difficult as his marriage began to feel the pressure brought on by diagnosis. 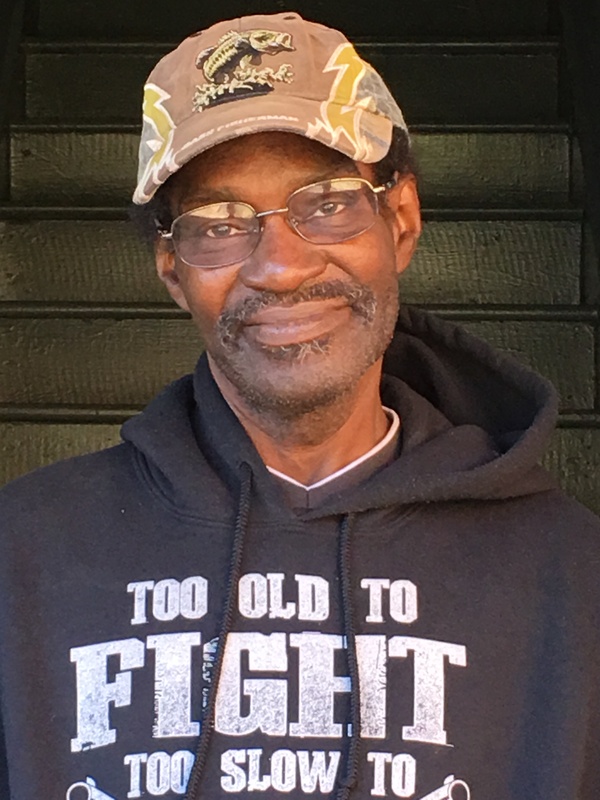 He was able to retire from the post office and continue maintaining an income, but his family’s home was soon foreclosed on, forcing them to move out. He and his wife separated shortly after losing their home. After he and his wife went their separate ways, his mother passed away, and he knew it was time for a change of scenery. He had been cancer free for almost twenty years, and decided he wanted to spend his senior years living in peace. He chose Atlanta because it has been his mother’s home town. Living here makes him feel closer to her and he is hoping of following in her footsteps by eventually moving to Florida and living near the water. For now, he is happy in his new atmosphere and looks forward to experiencing what the lakes and rivers of Georgia have to offer someone with a passion for fishing.